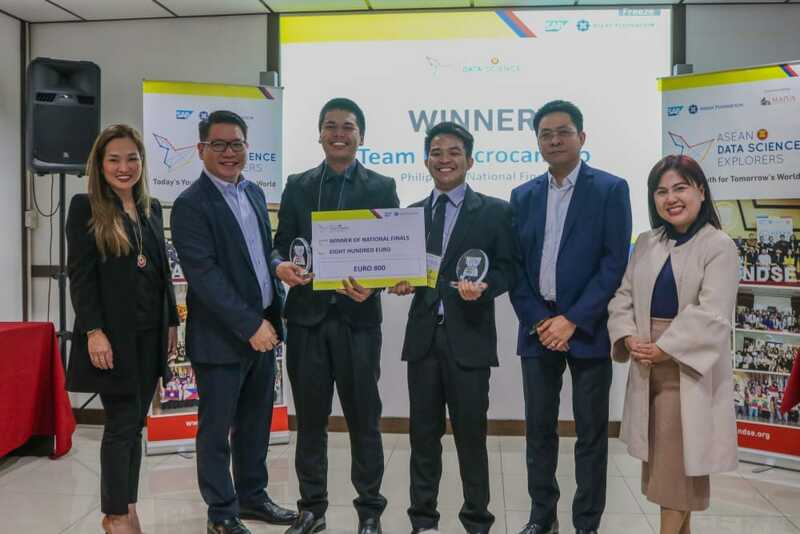 ASEAN Data Science Explorers National Finals - The Philippines, in partnership with SAP, was recently concluded with Team Dimicrocambio from Nueva Ecija University of Science & Technology declared as the winner. They bested 9 other teams and won €800 euros. 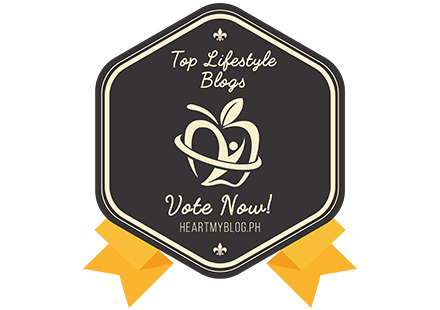 They will be the representative of the Philippines in the ASEAN Regional Finals on October 21, 2018. 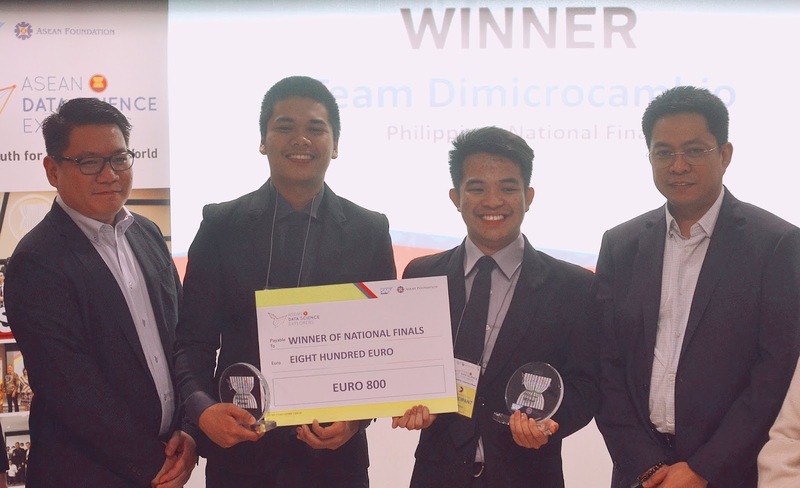 First and second runner-up place were successfully obtained by Team Tony from De La Salle University and Team Bazinga from Mapua University, winning €400 euros & €200 euros respectively. 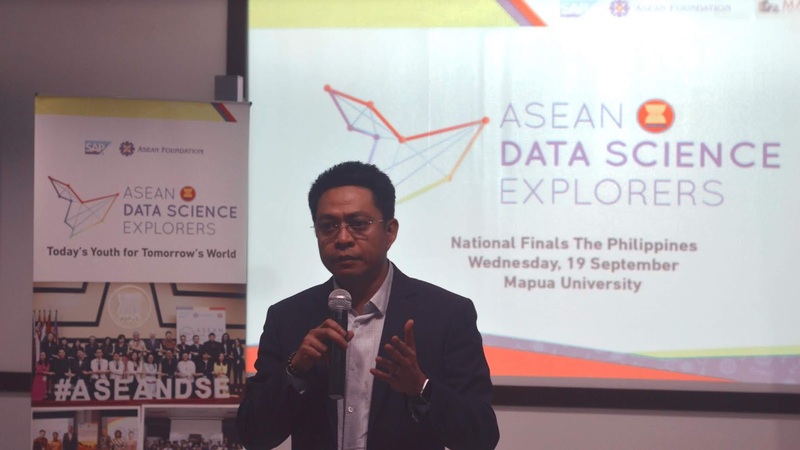 The ASEAN Data Science Explorers (DSE) National Finals was held at the Makati campus of the Mapua University. 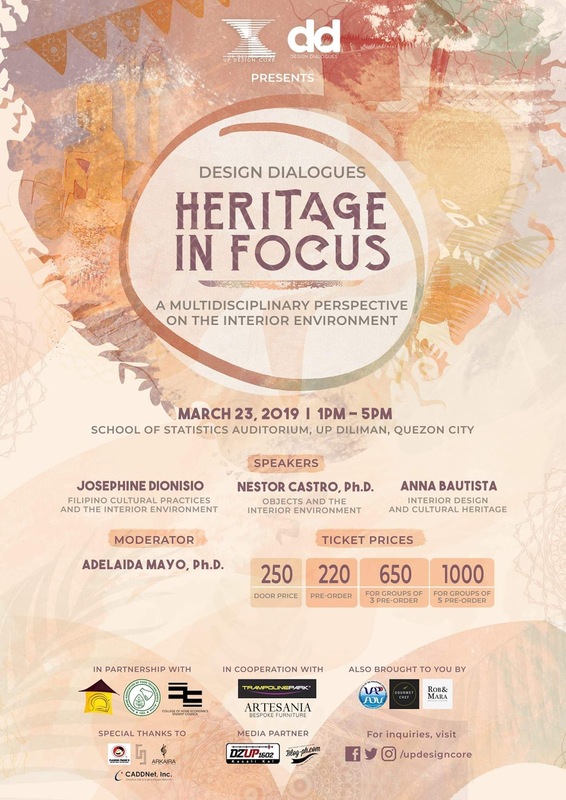 University students from all over the Philippines, who took part in the competition, were awarded for their insights and innovative ideas addressing social and economic issues in the ASEAN region. 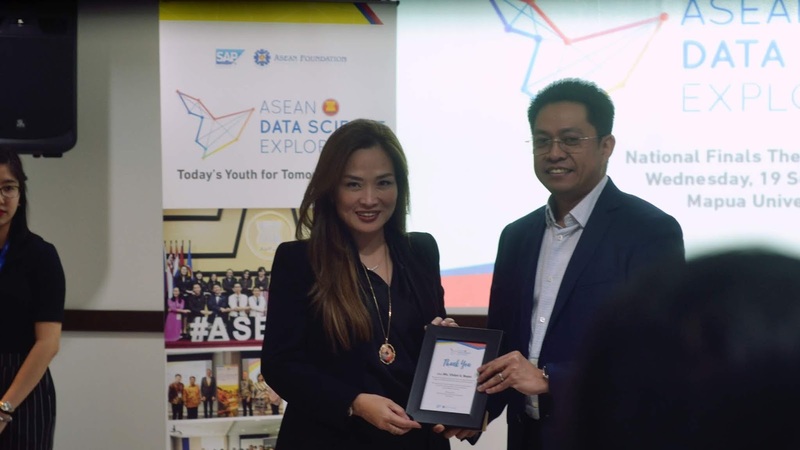 This is the second consecutive year that ASEAN DSE was organised across all 10 ASEAN member states as part of the strategic partnership between the ASEAN Foundation and SAP. First introduced in 2017, the ASEAN Data Science Explorers (ADSE) is a data analytics competition that aims to enhance awareness and appreciation of the ASEAN community amongst young people through digital literacy intervention. 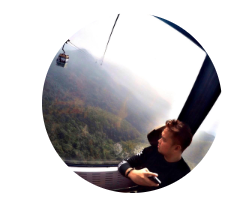 By using the SAP Analytics Cloud, participants are encouraged to deliver data-driven insights which highlight issues in ASEAN across six United Nation Sustainable Development Goals, namely (1) good health and well-being, (2) quality education, (3) gender equality, (4) decent work and economic growth, (5) industry, innovation & infrastructure and (6) sustainable cities and communities. “Together with the ASEAN Foundation, we are encouraging youths to be creative and develop innovations to address the social and economic issues that our country and others in the region face, especially as a key member of the ASEAN. 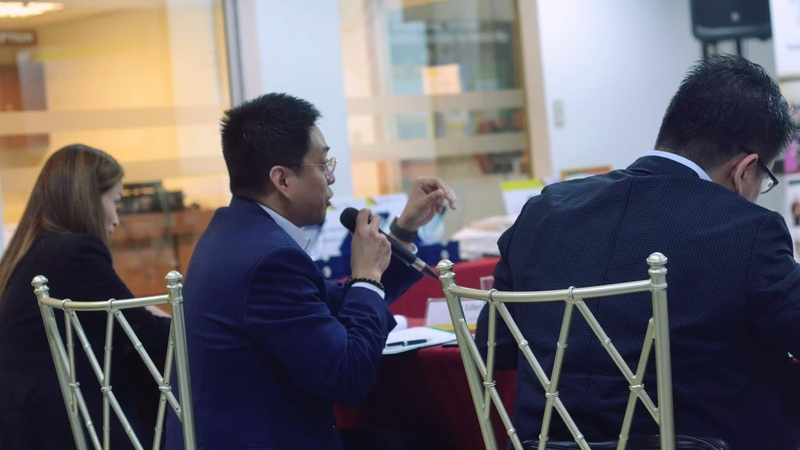 We have witnessed great and inspiring ideas presented by all contestants that could be the important key an improved ASEAN society,” said Edler Panlilio, Managing Director of SAP Philippines, who acted as one of the judges in ADSE Philippines National Finals 2018. 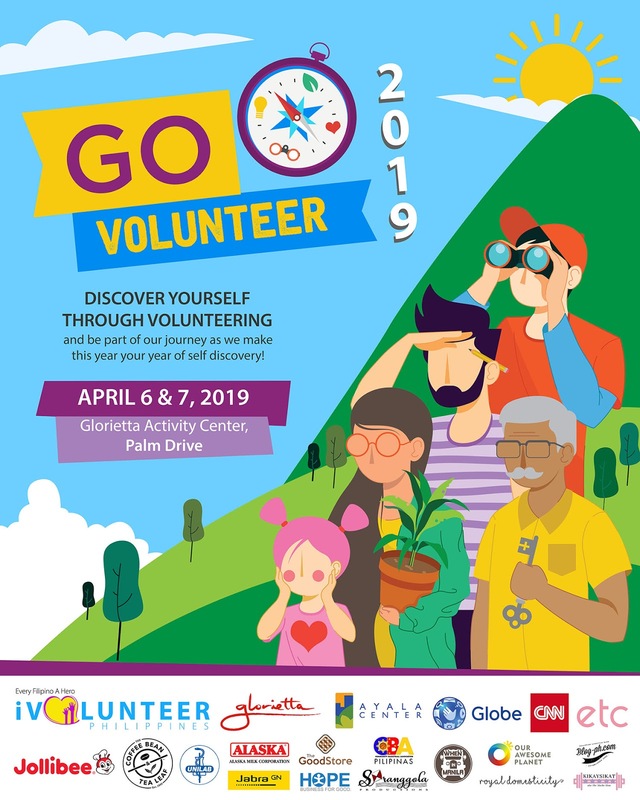 We at SAP operate on the mission to help the world run better and improve people’s lives and wish to involve the youth in the same mission and use technology to contribute to the Philippines and to the ASEAN region. 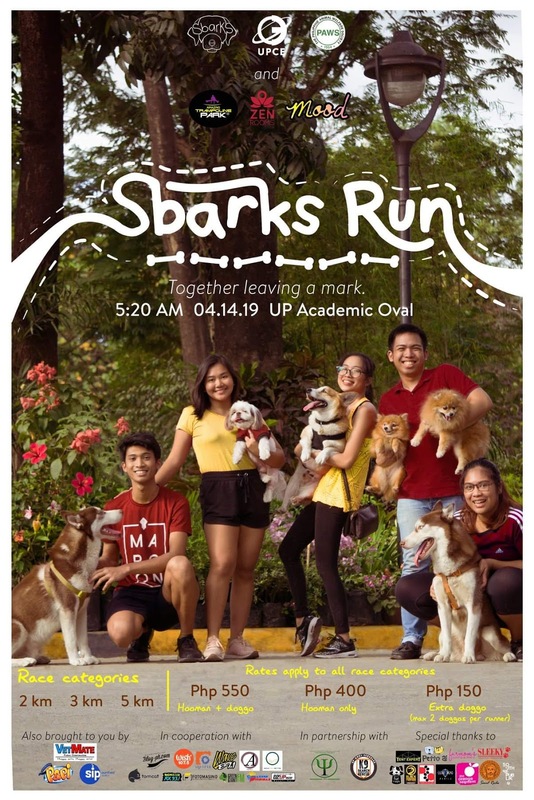 Leveraging the first-class insights provided by SAP Analytics Cloud, SAP enabled the students to access and analyze real-time data of the current social and economic crises in ASEAN member nations,” explained Panlilio. Three decades after ASEAN was established, ASEAN leaders recognised that: there remained inadequate shared prosperity, ASEAN awareness and contact among people of ASEAN. It was of this concern that ASEAN leaders established ASEAN Foundation during ASEAN’s 30th Anniversary Commemorative Summit in Kuala Lumpur Malaysia on 15 December 1997. ASEAN Foundation is an organisation from and for the people of ASEAN. The Foundation exists because of one vision: to build a cohesive and prosperous ASEAN Community. As an ASEAN’s body, the Foundation is tasked to support ASEAN mainly in promoting awareness, identity, interaction and development of the people of ASEAN.